It’s nice to know travelers can still find a traditional pub in the heart of Berlin. 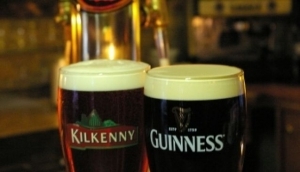 See our list of Irish or English pubs, here you’ll find lots of expats and travelers plus they’re a great venue to be in for the World Cup and other sporting events. The German pub, or “Kneipe”, is a casual venue serving some snack food, a range of German and sometimes international beers. They don’t drink much wine at a German pub, so it’s beer, beer and more beer, but the beer here is great so there isn't anything to complain about!